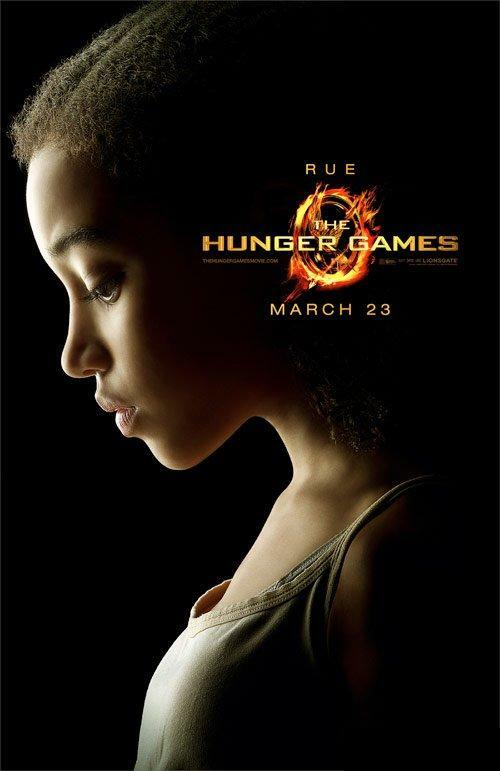 I continue my one-woman war against dumb character posters by taking a look at The Hunger Games posters that were released last week. 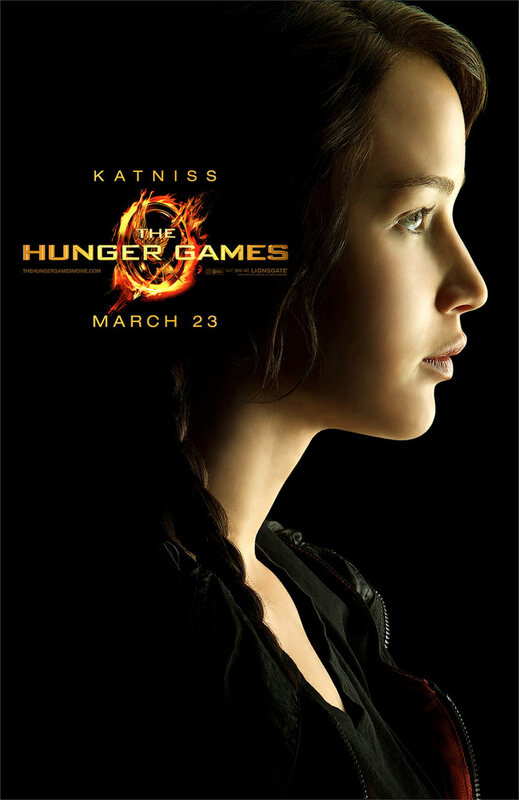 Now, these character posters are a good idea for The Hunger Games because Katniss and company are characters for more than one book/movie. There is already a built-in fan base who know what to expect. But just barely. Because these posters are terrible. We only see the profiles of the characters, which doesn’t draw you in at all. It only confuses you more and you can’t determine anything remotely interesting about these characters. 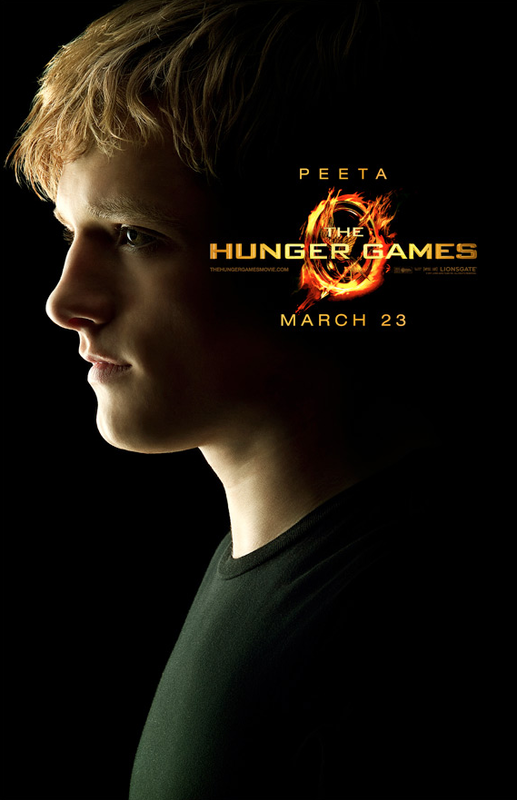 If these posters are supposed to interest me in The Hunger Games, they failed miserably. Disclaimer: I know nothing about The Hunger Games. I haven’t read the books and I am assuming that they are some sort of sci-fi series filled with angst-ridden teenagers. So I apologize to any of the die hard fans out there reading this. Haymitch is totally a professor or mad scientist. He also enjoys snappy ties. A splash of teal is always a good choice! 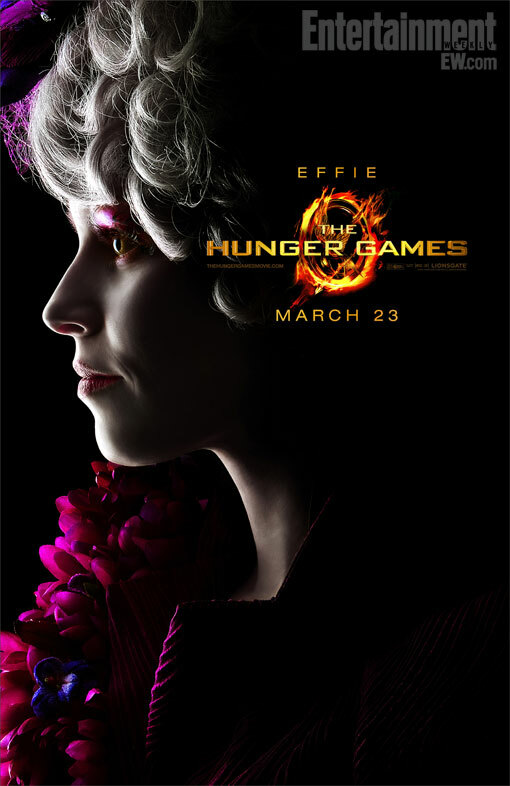 Effie is either a burlesque dancer or evil. No one can wear that much pink, a hat with feathers, and be a good character. I saw Harry Potter. Dolores Umbridge was an evil beotch in pink. She also could just have a lot of British weddings to attend. 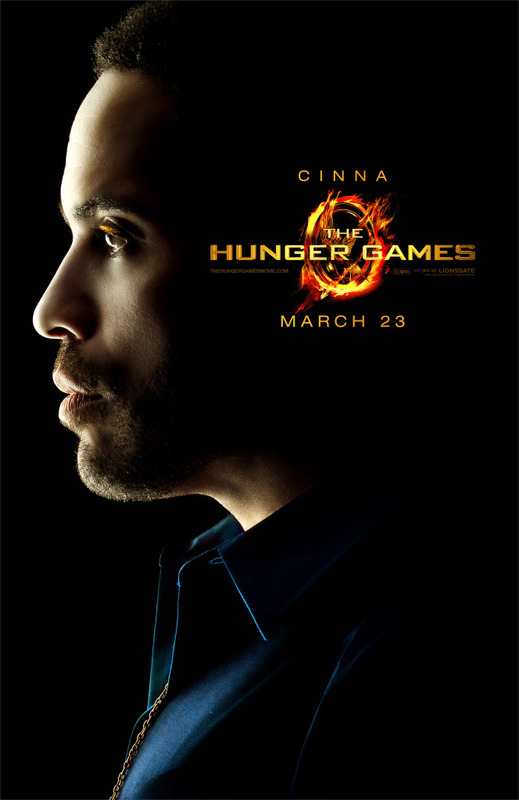 I imagine that Cinna sings songs and that he is some sort of rock star. That would explain the gold chain and gold eyeshadow. Unless he is the Pope, who as we all know is the most stylish man in the world. He is also the long-lost father of Angel Salvadore. Oh! I like this poster! It is the only one with any sort of emotion that doesn’t depend on flamboyancy. So what if she looks like a dejected America’s Next Top Model contestant that Tyra Banks just went psycho on? This Rue chick is in pain and I feel it. Yawn. 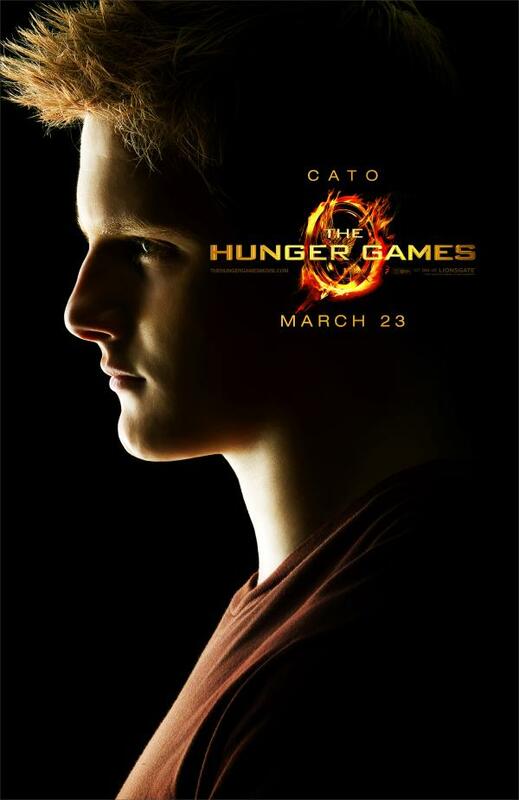 Cato may be a ginger and Cato is boring. These posters is boring. Wake me up when something more exciting related to these movies is released. 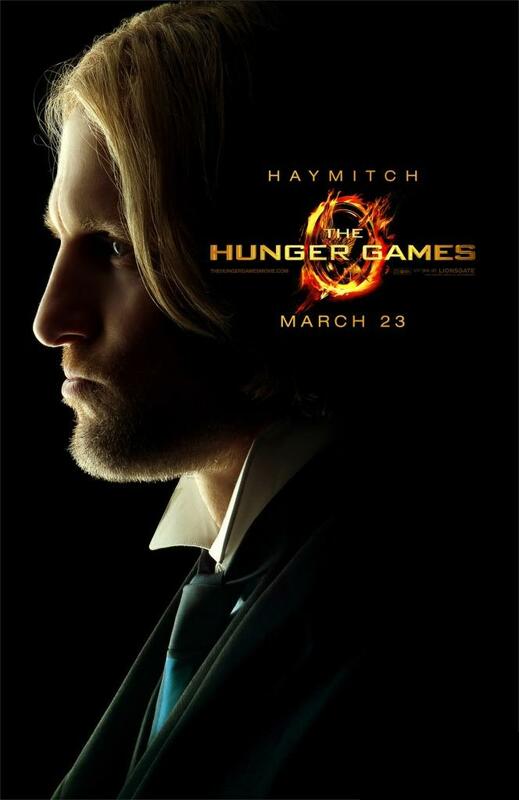 Haymitch also looks like he spends his free time in a Tom Petty cover band. Or as a magician. Effie could be his sidekick. 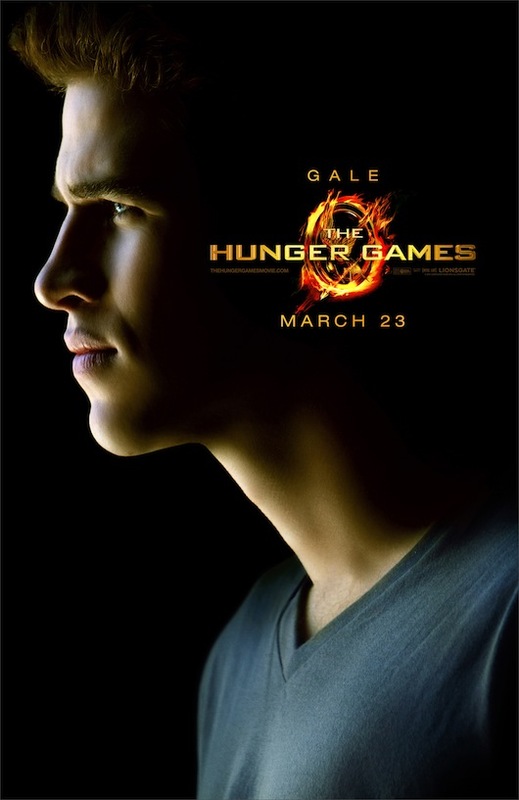 I really enjoyed the Hunger Games series but I really don’t like these posters. They just don’t work for the story that is being told at all. I will say, you are partially correct with your Katniss/Peeta/Gale summation but not exactly. They are actually pretty good reads. I am looking forward to the movie though, I’m not a huge fan of the cast but I think it could work. It all depends. I will admit that I know only some thing about Katniss/Peeta/Gale because I once read about two paragraphs of Hunger Games fan fiction. I do plan on reading the books before seeing the movies. Especially since everyone keeps mentioning how the cast doesn’t match up. Now if only I had the time… Thanks for reading! I actually really like the casting. Granted I’ve started reading the series after they announced the cast but I really like this. I’m totally on board with Woody as Haymitch. You should definitely read the books though, they’re super fast and easy. I got through each in about a day.